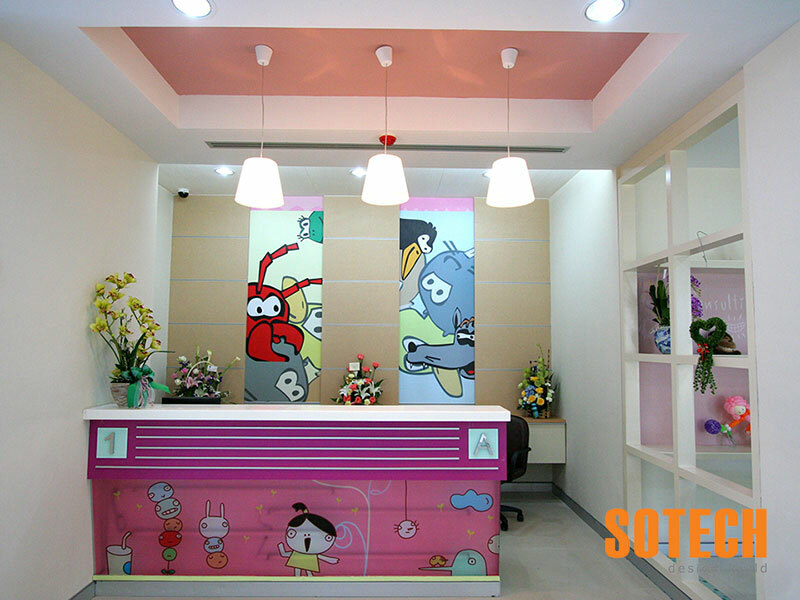 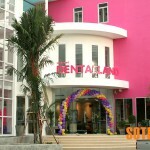 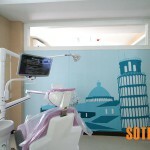 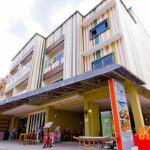 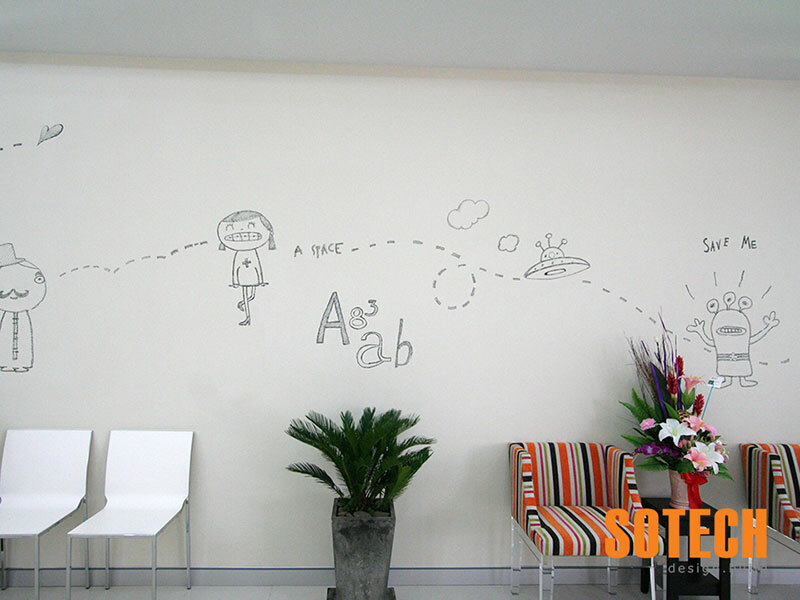 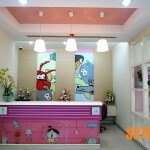 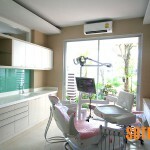 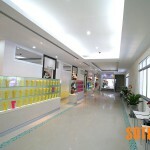 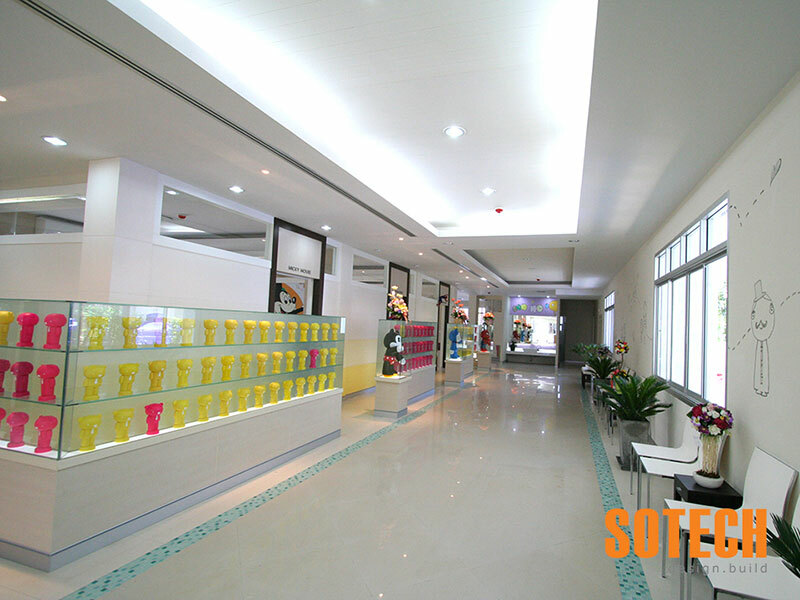 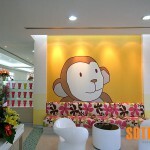 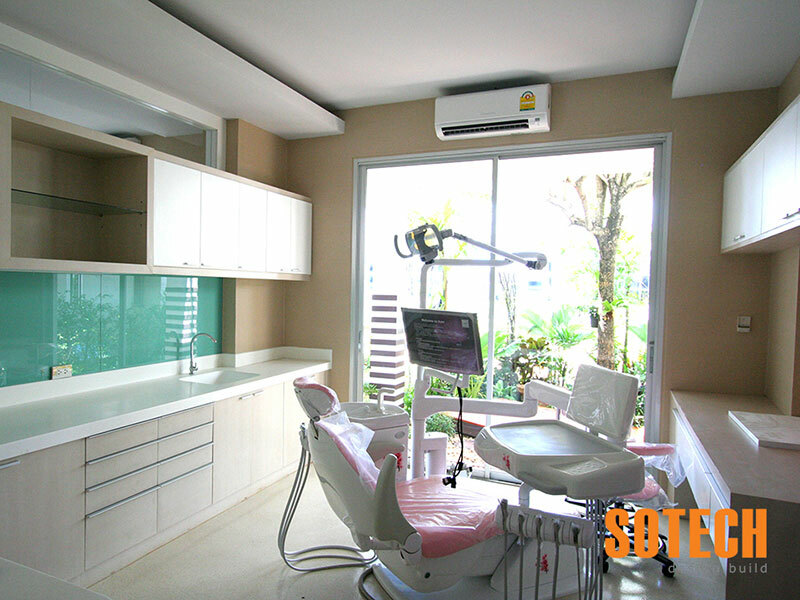 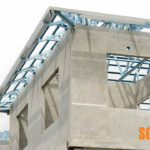 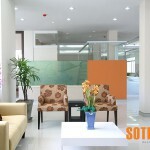 This Dental Clinic is a three storey commercial building, designed and built by Sotech. 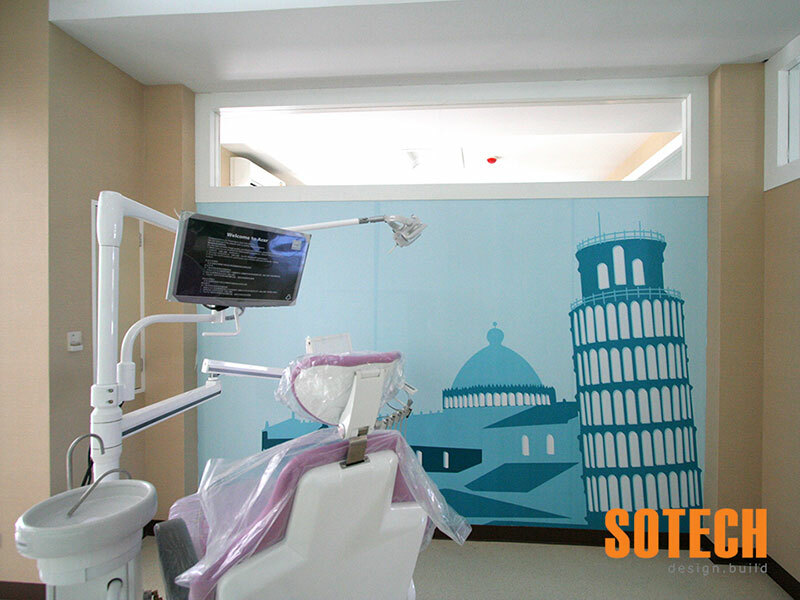 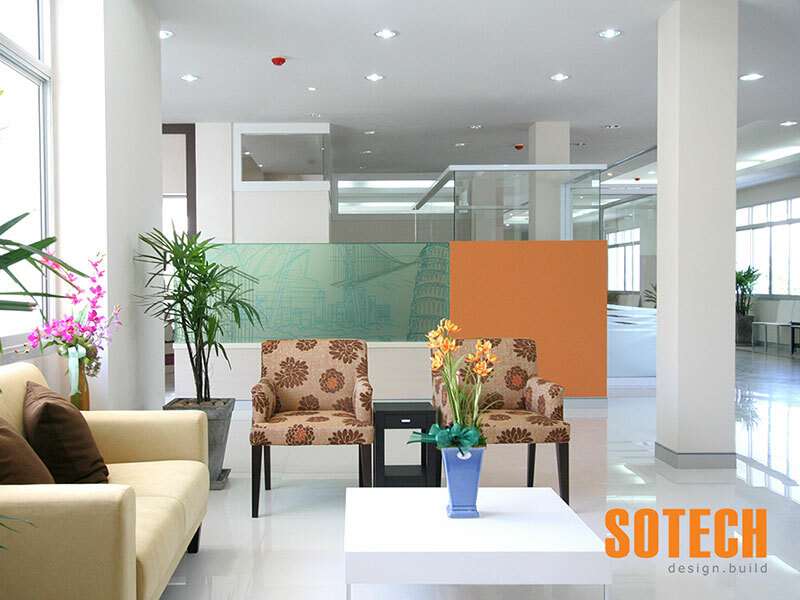 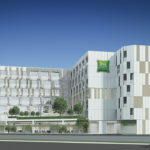 With over 5,000 square meters of internal space there is plenty of working space for up to 35 professional dentists. 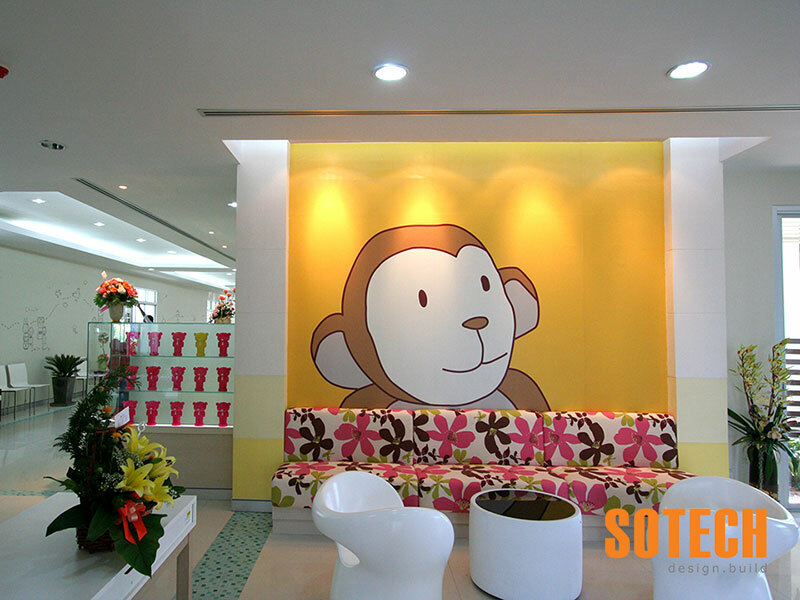 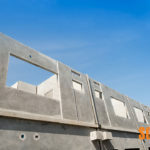 All built-in furniture’s is also designed and built by us, including decorative walls, office partition walls, glass walls and even the children areas. 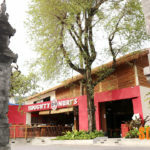 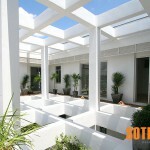 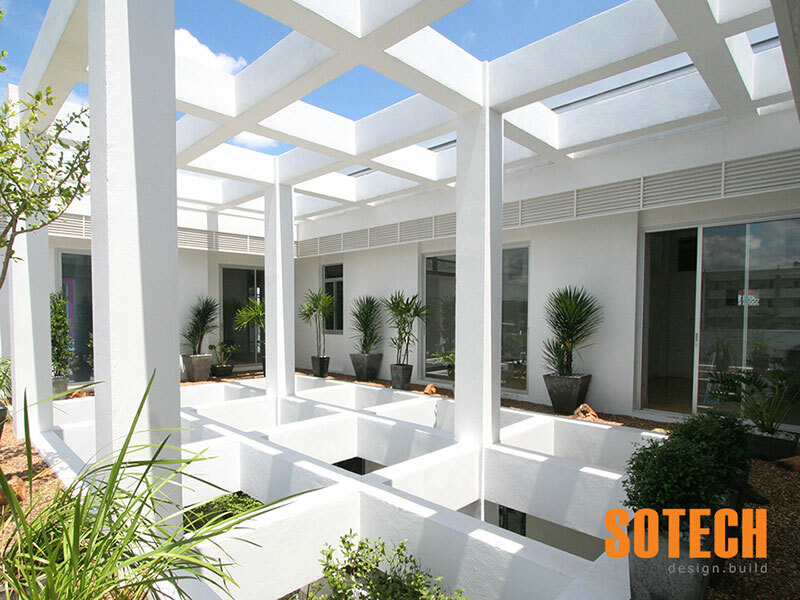 The center piece of the building is an open modern styled atrium with separate garden areas for each floor. 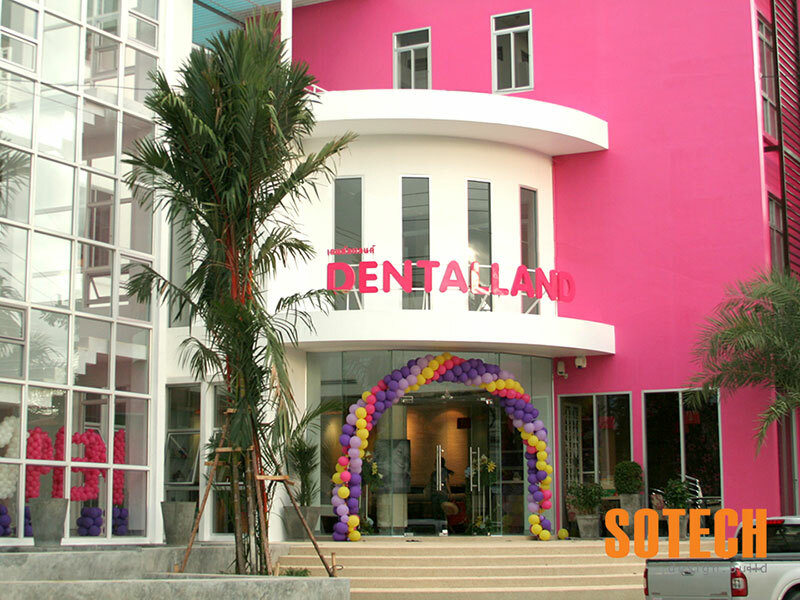 The exterior is a combination of a three storey glass wall section and a boxed shaped main building with a strong contrast color theme.